Hardcover, 12 x 12.75 in. / 600 pgs / 120 color / 764 bw. 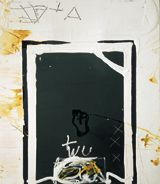 Artwork by Antoni Tàpies. Text by Jean Fremon. 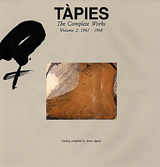 This seventh volume in the definitive catalogue of the complete works of Spanish abstract expressionist Antoni Tàpies further expands on the artist's important contribution to the aesthetics of the 20th century. 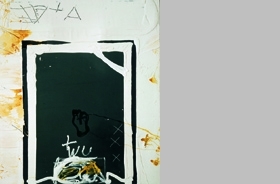 In the first half of the 90s we find a new representation of Tàpies's refractory clay sculptures, as well as objects and sculptures in which he experimented with new materials, such as bronze or metal sheets, also sometimes used as pictorial supports. Text by Xavier Antich, Manuel Borja Villel, Flàvia Company, Manel Guerrero, Carles Guerra, Clàudia Grego. FORMAT: Hardcover, 12 x 12.75 in. / 600 pgs / 120 color / 764 b&w.